Atari Silver labels were used between 1982 and 1985, and were produced alongside Picture label games that continued to be sold. 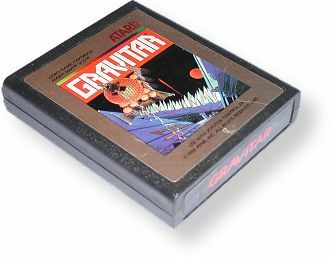 Most Silver label games did not appear under other labels, with a few exceptions such as a Picture label Asteroids and a Red label Gravitar. The silver label variations of these two games are much harder to find. Silver labels have a silver or gray background with a picture in the middle, and the name in white letters across a red stripe. The end label is in red text on a black background. Pole Position CX2694 "Pole Posit'n"
Raiders of the Lost Ark CX2659 "Raiders Lost Ark"
Records Found: 64 Click on a column header to sort by that column. Click again to reverse sort order.